How to Work and Travel in the Middle East? The Middle East is one of the most historic regions in the world. Birthplace of important religions like Christianity, Judaism, and Islam, the region receives many tourists. For those interested in getting to know more of the history of this region with so much variety in culture, language, religion and politics, one of the more economic options is a work exchange. It’s a way to see the Middle East up close for just a few hours of work in exchange for accommodation. 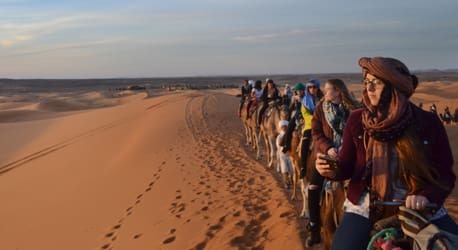 Tourism in the Middle East has grown quite a lot over the last few years and, because of that, the region is now on the itinerary of solo travelers who want to visit under-explored places. Many go to the region to see important religious sites like Jerusalem and Nazareth. Others go in search of the beautiful scenery found in the Arab Emirates, Egypt, and Turkey. For those interested in getting to know the region better and working abroad, volunteering is a good option.